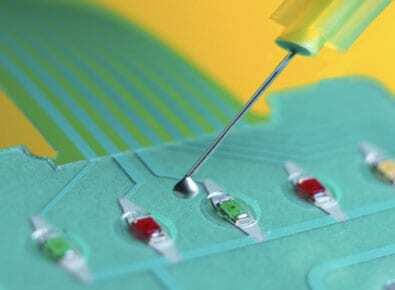 The Memcon range of conductive silver inks and conductive adhesives have been developed and formulated for use in a variety of specialist applications including membrane switches, EL (electroluminescent), touch panels, RFID, EMI/RFI shielding, sensors, medical and other electro-mechanical assemblies. Our range includes conductive silver pastes suitable for use in fast or slow drying processes, inks that will provide suitable levels of adhesion to a variety of different substrates and offer a varying level of resistance. Complementary with our range of electrically screen printable conductive silver inks, we offer a range of UV curable dielectrics in a variety of different colours. Our laboratory works with a wide range of polymers and fillers, working closely with our customers to ensure that each of our individual products are specially tailored to achieve given customer specifications. 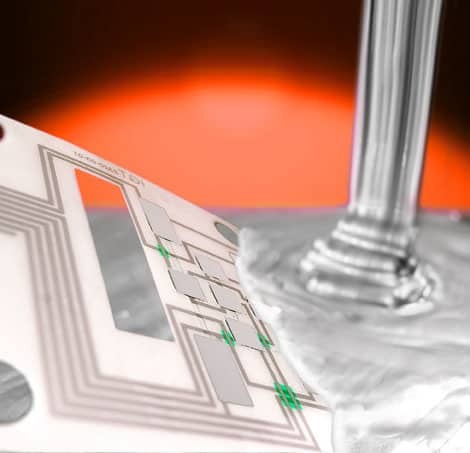 In addition we are able to provide conductive silver adhesives that have been developed and are ideal for the bonding of surface mount components such as SMD Leds to membrane switches and other flexible surfaces. Our conductive adhesives are available in both single and two-part with a number of curing conditions and pot life to suit your process requirements. Our adhesives are available in EasyUse 5gr packs or for the larger user in Bulk packaging. For datasheets and samples please contact our office. A range of suitable dispensing equipment is also available – please contact us for information.